Canadian instrumental post-rock leftist collective Godspeed You! 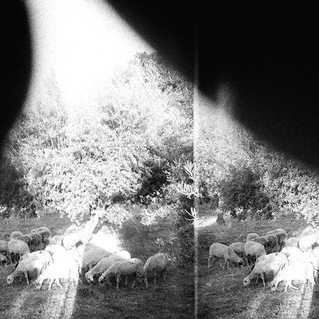 Black Emperor brings something old and something new to the musical anti-fascist fray on Luciferian Towers, their latest recording for Constellation. They are still angry at the political establishment (as are many of us). But they are REALLY angry. Composition titles such as “Bosses Hang,” “Fam/Famine,” and “Anthem for No State,” are bracing sentiments, ones that seem all the more resonant with the determined opposition movements that on the political left the have been emboldened in the wake the double punch of the 2016 election and Charlottesville. Early GSY!BE output relied on, indeed did a great deal to codify, a certain formula for post-rock: pieces contained one long hairpin crescendo from pianissimo to fortississimo primarily focused on drone-based textures. A penchant for minimalism and martial rhythms remain, but the group’s approach is more texturally varied. True, this time out there aren’t field recordings, but album opener “Undoing a Luciferian Towers” (sic) does include free jazz horns. Bagpipes adorn the album’s closer. Throughout, guitars oscillate and repeat riffs with little wrinkles of variation. Most significantly, dynamics are varied rather than inexorably inclined, with piano sections lingering, forte sections juxtaposed with softer passages, and some of the music cannonading through without significant shading. These changes of shaping and form demonstrate the band’s significant musical development over time. Moreover, Luciferian Towers is a yawp of resistance at just the time that we need its cathartic power. Godspeed You! Black Emperor has created a record precisely for its time, and the Best Rock Recording of 2017. Esmerine’s new album Mechanics Of Dominion will be released on October 20th via Constellation. Artist Brad Todd has created a “visual album” to accompany all of the recording’s songs. This review begins with a hat tip to Matthew Guerrieri, whose book The First Four Notes is required reading for those wishing to better understand Beethoven’s Fifth Symphony. The first four notes which concern us here emanate from the speakers of highly politicized post-rock collective Godspeed You! Black Emperor (and yes, that’s where the exclamation point goes). Asunder, Sweet, and Other Distress, their latest LP, begins a track called “Peasantry or ‘Light! Inside of Light! '” with a low-pitched four-note riff that proves to be the material out of which everything in the piece is spun. Like Beethoven’s 5th, it starts with an upbeat that leads to a downbeat thrust of energy. This propels the music forward, seemingly ceaselessly. Like much of GY!BE’s music, it may exhaust the listener, but it never becomes tiresome. Elsewhere, sound is used skilfully; drones, feedback, and improvisatory textural playing are featured. But on “Peasantry …” it is all about the riff, and it is a heavy riff well worth remembering. 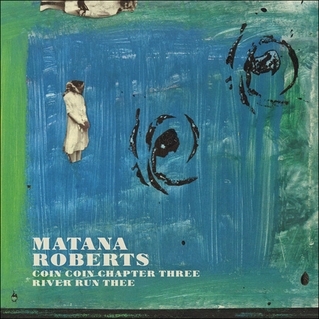 ‘Coin Coin Chapter Three: river run thee,’ Matana Roberts’s latest recording for Constellation, is out now. To revel in its diverse, avant-tinged, sound world, check out the teaser track, “Always Say Your Name/Nema, Nema, Nema” below.